This fact sheet provides information on the most common ways local communities finance their municipal networks. When a community decides it needs to establish its own publicly owned network infrastructure, one of the biggest challenges is financing the investment. Each community is unique but three main methods of financing are most popular. This fact sheet offers a quick look at these common approaches and provides real-world examples. Download a PDF of this informative resource. Misinformation about financing municipal networks is often repeated by large corporate providers whose only interest is in maintaining the status quo. We encourage you to share this valuable resource and help spread the truth: there are more than 400 publicly owned networks successfully serving local communities and the vast majority of municipal networks have not used taxpayer dollars. 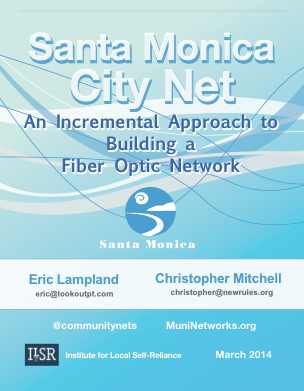 See all of our Community Network Fact Sheets here. Read ongoing coverage related to these networks at ILSR’s site devoted to Community Broadband Networks. You can also subscribe to a once-per-week email with stories about community broadband networks.